Glen Tullman is Chief Executive Officer of Livongo Health™. Tullman is also a successful entrepreneur and co-founder and Managing Partner of 7wire Ventures, a Chicago-based investment firm focused on healthcare and education. Tullman most recently served as Chief Executive Officer of Allscripts (NASDAQ: MDRX), the leading global provider of Electronic Health Records, Practice Management and Electronic Prescribing systems. He led Allscripts’ IPO and secondary offerings. Under his leadership, revenues grew from $30 million in 1997 to more than $1.4 billion in 2012. Tullman stepped down in December 2012. Prior to joining Allscripts, Tullman was CEO of Enterprise Systems, a leading healthcare-information services company providing resource-management solutions to large, integrated healthcare networks. Tullman led its IPO and secondary offerings. Enterprise was sold to McKesson HBOC (NYSE: MCK). Tullman has founded or co-founded a number of ventures including one of the country’s leading solar energy companies, SoCore Energy, recently sold to Edison Ventures, and a digital education company, digedu, and holds investments in several ventures focused on mobile and cloud-based health solutions. A strong proponent of philanthropy, he serves as a Chancellor to the International Board of the Juvenile Diabetes Research Foundation (JDRF). Lee Shapiro is Managing Partner at 7wire Ventures, an investment firm he co-founded over a decade ago. He serves on the boards of Medidata Solutions [NASDAQ:MDSO], Tivity Health [NASDAQ:TVTY], and Aptus Health (f/k/a Physicians Interactive Holdings, a Merck subsidiary [NYSE:MRK]). He is also active with the 7wire portfolio and serves on the boards of Livongo Health, Ayogo Health, Carebox, Zest Health (Chairman), Modern Teacher (past Chairman), and Education Funding Partners. Lee is a member of the National Board of Directors of the American Heart Association. He has also served as an officer and director of the Gastro-Intestinal Research Foundation (GIRF), where he is now on the advisory board. Lee earned his JD degree from The University of Chicago Law School and a BS in Accounting from The University of Illinois Urbana-Champaign. Robert is currently a Partner at 7wire Ventures, where he focuses on investments in digital healthcare and technology-enabled services that empower consumers to be better stewards of their health in today’s changing healthcare ecosystem. Robert has over 25 years of experience investing in, advising, and operating early-stage healthcare and technology companies and has co-managed three venture funds with $200+ AUM. Before joining 7wire Ventures, Robert served as Managing Director of Stratus Ventures and KB Partners where he led investments in early-stage healthcare and technology companies. Previously, Robert served as Director of Corporate Development for FastWeb.com, a Web-based direct marketing company now owned by Monster, Inc. (Nasdaq: MNST). He joined FastWEB.com after serving as Director of Application Consulting for TechLaw Automation Partners, a technology consultancy focused exclusively on the legal industry. Robert was recruited to TechLaw Automation Partners from Gnossos Software, a software developer of applications for the public affairs, academic, and non-profit markets, where he was a key member of the development team. Robert received a Master of Business Administration degree from the Kellogg Graduate School of Management and a Bachelor of Arts degree from the University of Pennsylvania. Alyssa Jaffee serves as Vice President of 7wire Ventures where she focuses on investments in digital healthcare and technology-enabled services that empower consumers to be better stewards of their health in today’s changing healthcare ecosystem. Alyssa's prior experience in venture capital includes her time as Senior Associate at Pritzker Group Venture Capital where she led investments in Bright.md and Tovala as well as worked closely with Apervita, SilverVue, Eved, and AiCure. Additionally, she worked at Hyde Park Angels (HPA), one of the Midwest's largest angel organizations and Healthbox, an early stage healthcare innovation firm, supporting their accelerator program called the Studio. Alyssa is also a Co-Founder of TransparentCareer, a 2016 NVC winning company focused on helping people make more data-driven career decisions. 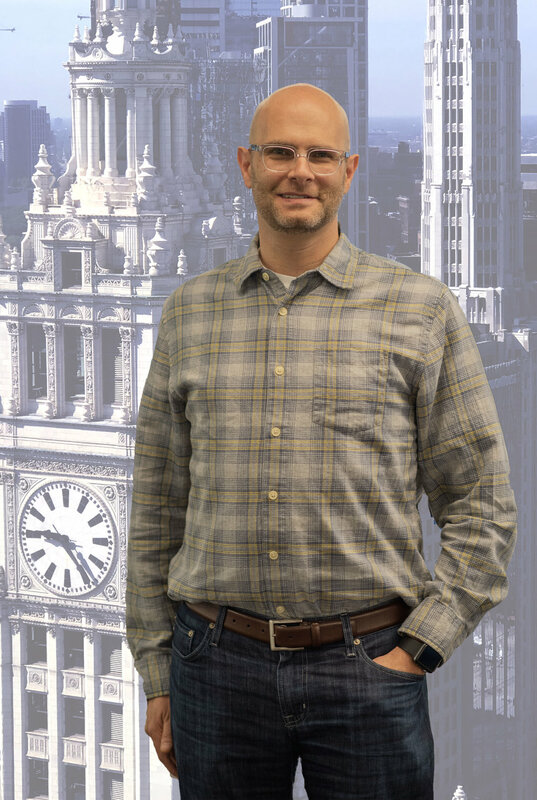 Scott Leisher is currently an Operating Partner at 7wire Ventures, the Chicago-based investment firm focused on the healthcare and education markets. He also serves as an Advisor for Livongo Health and Zest Health, two of the portfolio companies, assisting each in the execution of their strategy and goals. Prior to joining 7wire Ventures, Scott was an executive at Allscripts Healthcare [NASDAQ:MDRX] from 1998 until the end of 2015. During his tenure at Allscripts, he held the role of Executive Vice President of Sales and Marketing, was responsible for the national and enterprise level client base and was a member of the executive leadership team helping to create and execute on the company strategy. Additionally, while President of the ePrescribing business unit, he drove the development and launch of the National ePrescribing Patient Safety Initiative (NEPSI). NEPSI was a Allscripts' led coalition which included Dell, Cisco, Microsoft, Google, Sprint, Wolters Kluwer, Aetna, Horizon BCBS of New Jersey, SureScripts as well as others and provided a cloud-based electronic prescribing solution to every licensed provider across the country resulting in a broad adoption of technology by providers and a significant reduction in medication errors. Allscripts' annual revenue grew from $30 million to approximately $1.5 billion during his tenure at the company. Scott holds investments in a number of ventures focused on mobile, cloud-based and innovative healthcare solutions and has been an active investor in early and mid stage companies in the healthcare and education markets for over 20 years.